I am back from the beautiful state of Colorado and have some stunning portraits to share with you! 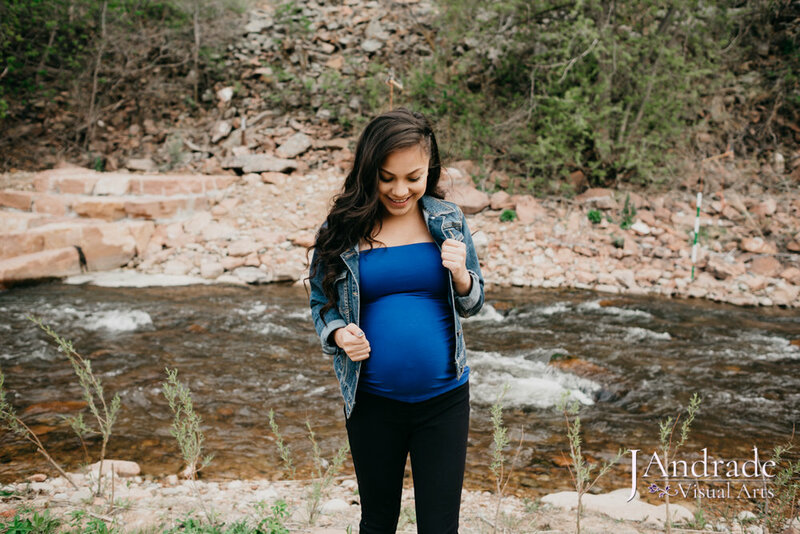 This is one out of two maternity portrait sessions I got to capture that took place at a park in Lyons, Colorado on an overcast evening. Look for yourself, an overcast day can look just as amazing as a sunny one! I feel like overcast sessions give off an intimate and comfy kind of feel to the portraits and I love that. We finished just in time as the rain started coming down. Which actually I have done an engagement session in the pouring rain! Talk about romantic! I love houston and all but man look at that river! Makes a girl want to pack her bags and head towards the Rocky Mountains. No such thing as a bad backdrop here. Traveling is always great but when it's for the purpose of capuring someone's portraits, it makes it 100 times better! I packed light for the plane, camera body and two prime lenses, it was all I needed. The only thing I wish I had with me was a laptop so I could have started editing asap. It's always a treat to import the images and look at them on a bigger screen. I'll never get tired of it! 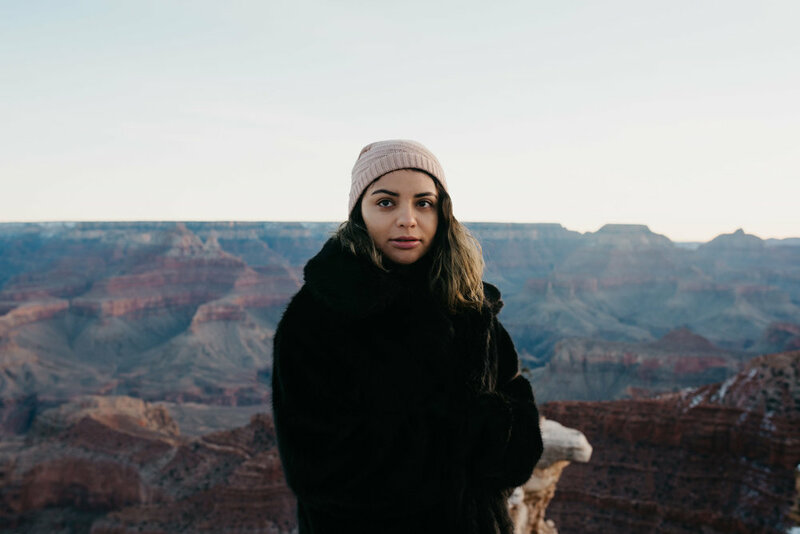 I am planning a road trip to New Mexico and Arizona and couldn't be more excited about some sandy desert portraits! Know anyone who might be interested? We got some flowers from a grocery store in town and made this flower crown with the help of my sister Marixa at Viva la Marx Photography. We are kinda in love with dressing up our clients with flower crowns. Veronica has been busy getting everything in order for her baby to arrive. Her baby shower was only two days before her session. Something I took into consideration was making sure there was a back up day for the session incase weather was absolutely bad or any other kind of interruption. Veronica's session took place on the same day we planned it for. I do this with all my clients, not just the ones out of state. This new mommy is absolutely ready to meet her baby boy.